PoPville » The Bike Rack/Filter Coffeehouse Opening in Brookland April 18th! The Bike Rack/Filter Coffeehouse Opening in Brookland April 18th! “Two of D.C.’s favorite pastimes, coffee and bicycles, are coming together in the historic Brookland neighborhood under one roof on April 18. The Bike Rack and Filter Coffeehouse are excited to be part of the growing community at the Monroe Street Market. 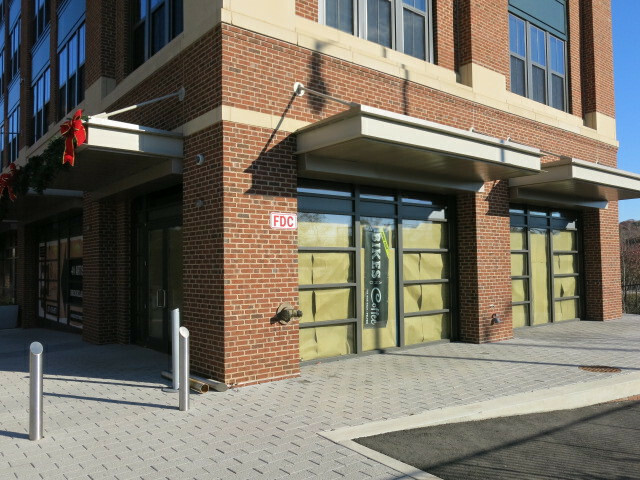 The April 18 Grand Opening will be held in conjunction with the first Brookland Farmer’s Market of 2015. The concept of the bike/coffee shop began in bike-centric cities such as Portland and San Francisco, and The Bike Rack and Filter Coffeehouse owners Chuck Harney and Rasheed Jabr knew it was a concept that both DC and the Brookland neighborhood would embrace. The two businesses will share space under one roof within the Brookland Works building at 716 Monroe St. NE. The Bike Rack will be open 8 a.m. to 7 p.m. Monday through Saturday, 10 a.m. to 5 p.m. Sunday. Filter Coffeehouse will be open Monday through Friday, 7 a.m. to 7 p.m.; Saturday and Sunday, 8 a.m. to 7 p.m.
“It’s location is perfect because it is directly on the Metropolitan Branch Trail and next to the Brookland Metro. It’s easily accessible to everyone, cyclists and non-cyclists,” Jabr said. Filter Coffeehouse will offer the range of Ceremony Coffee brews popular at its current Dupont Circle and Foggy Bottom locations. There will be indoor seating as well as outdoor seating adjacent to the Monroe Street Market Arts Walk.